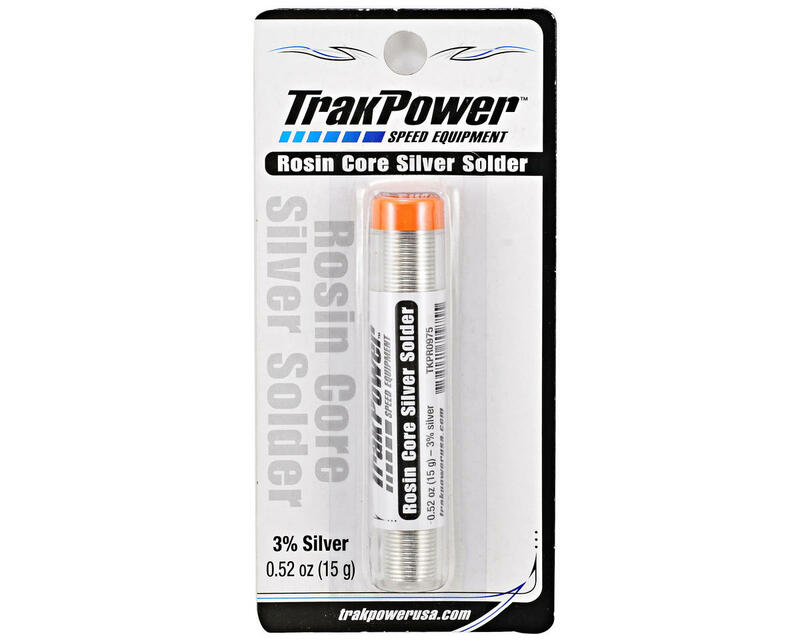 This is a fifteen gram tube of TrakPower Rosin Core Silver Solder. Silver Solder provides strong joints with low resistance and high conductivity. It contains no lead and 3% silver, so it's environmentally safe making this the ideal solder for any soldering job. This solder works perfectly with a good quality iron. Used on RC and soldering complete Drag Slotcar chassis's. Not good. Seems like a very high melt temp. Very hard to work with. Buy the Minatronics solder. This stuff is crap hard to work with.stay with U.S. made solder.going to try it with some flux and see if it does any better.so far I don’t like this solder from China made junk.will not get any more of it.